After the enormous success of our first guest blogger, we are back with a guest blogger for November. We skipped October because it was an extraordinarily busy month for all the CFR family, after our annual seminar in Japan. 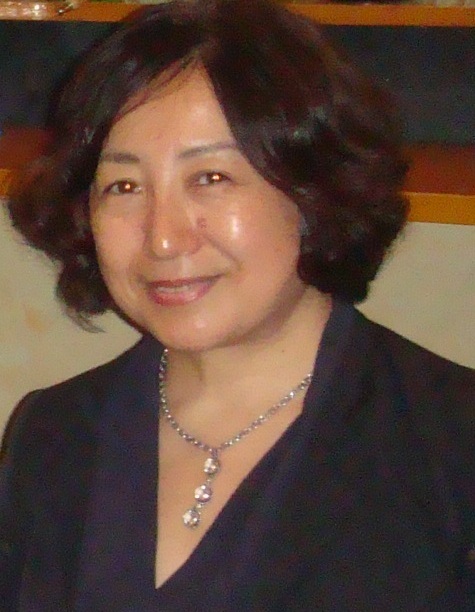 Emiko Ochiai, the chair of the CFR Kyoto Seminar Executive Committee, is our invited blogger. Emiko is Professor of Sociology at Kyoto University. In this blog post, she shares her impressions of the CFR seminar that she so efficiently organized in Japan. If you were at the Kyoto seminar, please leave us your comments and feedback. A seminar for the International Sociological Association Research Committee on Family Research was held at Kyoto University from the 12th to the 14th of September 2011. This year it was hosted by the Japan Society of Family Sociology and the Kyoto University Global COE, with the theme of “Reconstruction of the Intimate and Public Spheres in a Global Perspective.” Over its three days we had eight presentation sessions, three poster sessions, two special sessions, and a special lecture by Emmanuel TODD of the INED. Including the poster sessions and special sessions, there were a total of 61 research presentations, with 186 participants from 19 different countries (8 in Asia, 8 in Europe, 2 in North America, and 1 other). Dr. TODD’s special lecture (“Traditional Family Systems and Recent Demographic Differences in Eurasia: Is There Such a Thing as Modernity?”) was on his bold hypothesis on the historical development of the family that he developed in his new work: “L’origine des systèmes familiaux”. His idea that the nuclear family is the primitive one and the joint family is the newer was extremely stimulating. In the special sessions, we heard reports on the results of international comparative projects between families in Europe, from the KASS (Kinship and Social Security) Project, and in Asia, from the EASS (East Asian Social Survey 2006) and GCOE Family Survey Project. The presentation sessions covered a wide range of areas such as “Social Policy and Family,” “Gender and Work,” “Migration, Family and Community,” “Marriage Migration,” “Changing Families and Society,” “Intimacy in Varieties of Modernity,” “Parents and Children in Society,” and “Elders in Society.” Reflecting its large theme and the geographic location, the seminar served as a place of encounter for the researchers in various fields and from various regions of the world. Professor Rudolf RICHTER (University of Vienna), President of the CFR, graciously gave us a lecture (“Family Sociology between Scientific and Social Impact”) at the Annual Meeting of the Japan Society of Family Sociology, which was held right before this seminar. I am happy that the seminar has deepened our ties with researchers around the world. If we can use this seminar to encourage even greater participation by family researchers from Japan and Asia in CFR and contribute to family studies on a global scale, then I believe that this seminar will have been a true success.